Vancouver, BC – June 19, 2015 – The last great run of the year in Vancouver, the Fall Classic Run at UBC in mid-November is introducing a new 5KM race. When registration opens in early July, runners will have the choice to run 5KM, 10KM or 21.1KM Half Marathon races, with all courses taking runners on a fast tour around the University of British Columbia on November 15, 2015. Organizers of Vancouver’s only marathon since 1988, the Vancouver International Marathon Society has been expanding its offering recently to be inclusive of all runner types. “In the last several years the running community has seen a trend in shorter race distances that welcome more types of runners to experience the thrill of race weekend,” says Charlene Krepiakevich, Executive Director of the Vancouver International Marathon Society. The Society reintroduced the 8KM race to its BMO Vancouver Marathon weekend in 2013. This year, the non-profit organization also successfully introduced to a unique Marathon Relay with race distances between 5KM and 13KM, while maintaining the BMO Vancouver Marathon’s stunning point-to-point 21.1KM Half Marathon and 42.2KM Marathon courses. In 2014, the local non-profit organization acquired two additional events with the Granville Island Turkey Trot Run in October – featuring a 10KM race, new Kids Fun Run and Preschoolers Dash – and the Fall Classic Run at UBC – now featuring 5KM, 10KM and 21.1KM races. For these events the Society, which relies on nearly 4,000 volunteers annually, also reduced early bird pricing. Those who complete the BMO Vancouver Marathon, Granville Island Turkey Trot, and Fall Classic at UBC in the same 2015 calendar year, will score a hat-trick and further be rewarded a special commemorative item. 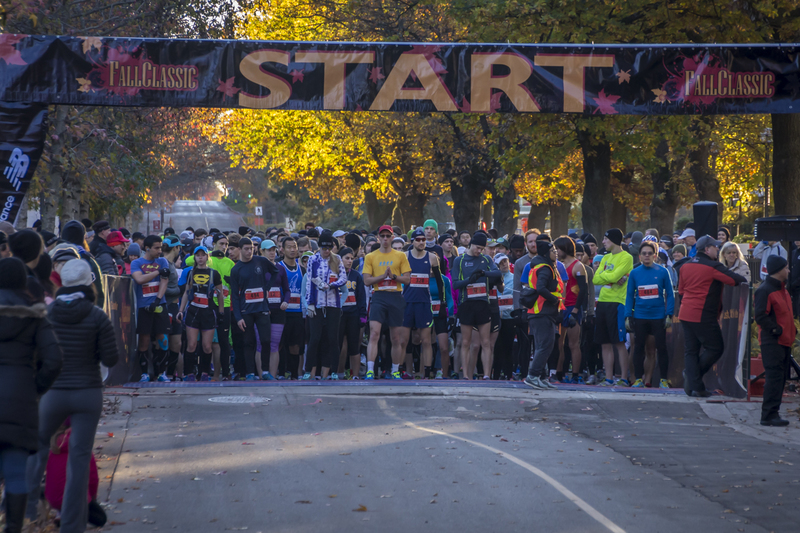 Like all Society races, participants of the Fall Classic Run at UBC will enjoy fun race day festivities, certified race courses, water stations and live entertainment on-course, merchandise sales, post-race food and music, plus team and age category awards. Race bibs also score runners a complimentary beer or non-alcoholic beverage courtesy of Mahony and Sons. With stunning fall foliage as a backdrop, participants of the Fall Classic Run at UBC will experience a picturesque setting on a flat and fast course this Fall. The Granville Island Turkey Trot is now open for registrations at TurkeyTrotRun.ca. Registration for the Fall Classic at UBC opens early July at FallClassicRun.ca. ← Registration Open for the 2015 Granville Island Turkey Trot. Join in!